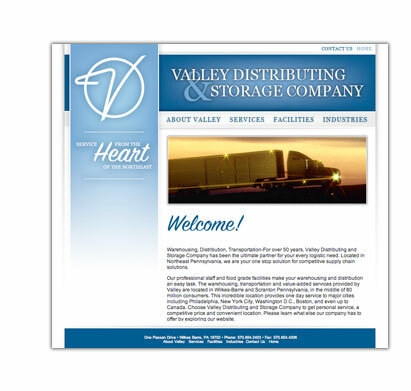 For over 50 years, Valley Distributing & Storage Company has been the premier provider of supply chain solutions in the Northeast; and when they needed a design firm to communicate that sterling reputation to an online audience, they turned to BlackOut. We designed a new site that reflects the full range of Valley’s logistics services including warehousing, transportation and distribution. Valley needed a web presence that was innovative and elegant. See the results at the Valley Distributing & Storage Company site.